Direct From the Thawing Hands of Surfer Pete! Hello Good People, here’s a quick missive coming to you from the thawing hands of surfer Pete after a morning surf sesh with Gunnar Biggs at Terramar in Carlsbad. It was a grey chilly morning but the reef was working and nothing like some 62-degree salt water to get the clarity function in the brain kicking in. I’m zipping off to Telluride on Thursday to play at hit with Dianne Reeves and the group. Dianne sings up a storm and the energy she brings plus her SOUND  she’s one of the worlds best! 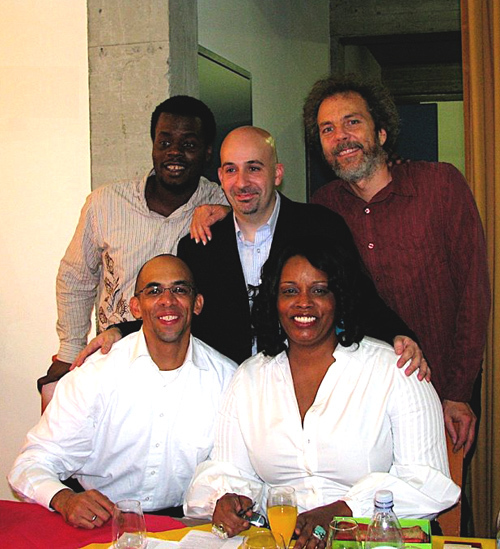 The Dianne Reeves group jammin' in Italy. Clockwise from top left  Greg Hutchinson, Peter Martin, Peter Sprague, Dianne Reeves, Daryll Hall. Right after I get back from the Colorado trip I’m meeting up with Australian vocalist Kate Fuller for a special house concert in Encinitas. Kate is now studying at the Los Angeles Music Academy and recently came in 2nd place at the Del Mar Fair’s summertime MusicPalooza event. Last week we completed a recording of songs that Kate will enter in the upcoming Thelonious Monk Institute Vocal competition. Also, Kate is featured on my "Calling Me Home" CD. She’s on a roll and I can’t wait to roll into a night of music with her on Sunday night. House concerts are really fun and loose and during the intermission we all hang out and have dessert together. Sugar kind of rules! I hope you can make it. Look below for the details and how to order tickets. Click here to hear a sample of what Kate, the band and I recorded last week. I hope to see you there. Kate Fuller is on the left and that's me on the right. 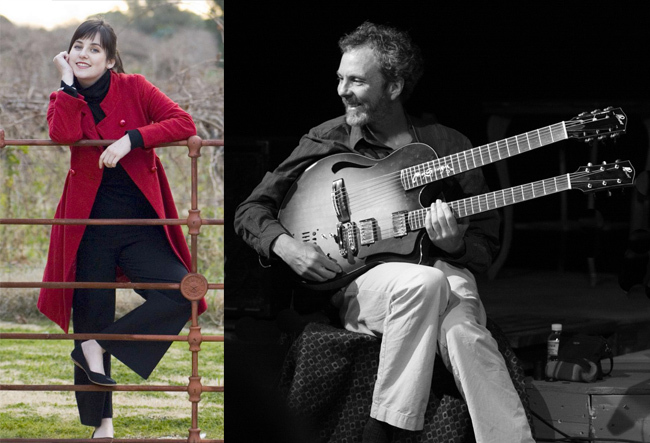 7:30 PM Vocalist Kate Fuller and I are playing together for another intimate house concert. This is a really cool setup for a show in the lovely home of John and Kim and it'll be a magical evening with some intermission desserts. Click here to hear what we sound like. Mike Holguin  drums 3 PM Not sure on the details for this one but I'll post the info a little later on.